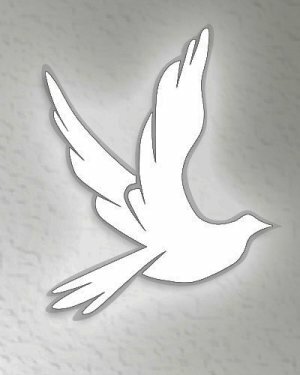 Obituary for Alice Linderman | Schrock-Hogan Funeral Home & Cremation Services, Inc.
Alice A. Linderman, 92 of Belle Vernon, passed away, Tuesday April 9, 2019 in the Residence at Hilltop, Carroll Township.. She was born February 21, 1927 in Charleroi, the daughter of the late Joseph and Ruth Bollens Brutout. Mrs. Linderman was a member of the First Christian Church in Charleroi. She is survived by her daughters Sally Celaschi and husband Delbert of Perryopolis, Donna Hayden and husband William of Grand Junction Colo, step-daughter Karen Crampo and husband Charles of Belle Vernon; son Barry Criss and partner Manon Yost of Naples, FL and step-son Robert David Linderman and wife Ann of Brunswick, OH: sisters Jean Brutout of Annadale, VA. and Karen Jewett of Houston, TX ; brothers Earl and Paul Brutout both of Portage, IN., Floyd Brutout of Plano TX., and Wilbert Brutout of the State of Washington; fifteen grandchildren and 5 great grandchildren. In addition to her parents Mrs. Linderman is preceded in death by her husband Charles H. Linderman, two sisters Linda Brutout and Lois Hrutkay. The family requests that in lieu of flowers that donations be made on her behalf to the First Christian Church in Charleroi. Arrangements were entrusted to the Schrock-Hogan Funeral Home & Cremation Services. Online condolences may be sent to the family www.schrock-hogan.com.